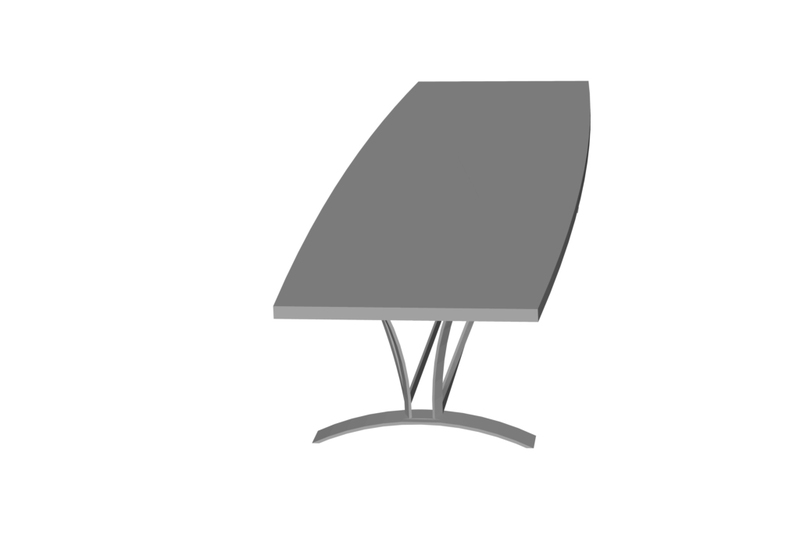 These three illustrations are of the trapezoidal steel base with an angled tilt. 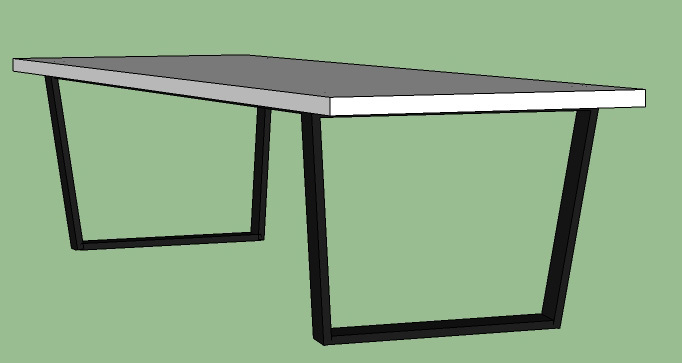 The black steel is 3" wide by 1" thick and is hollow (very strong and lighter than solid bar). 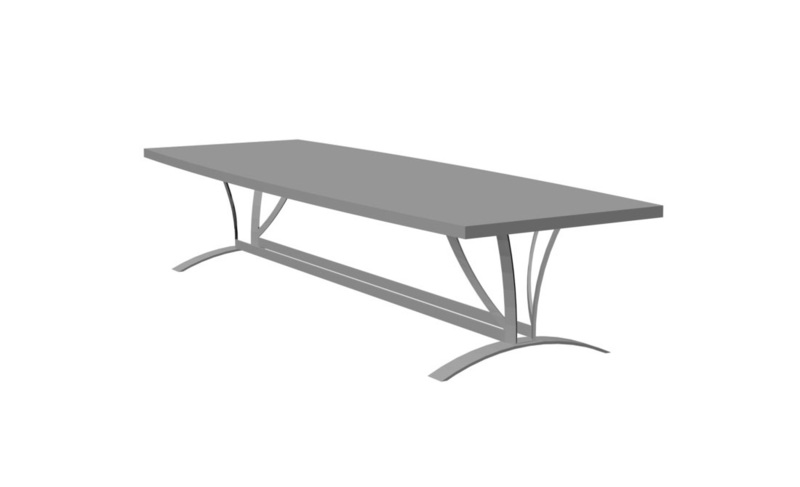 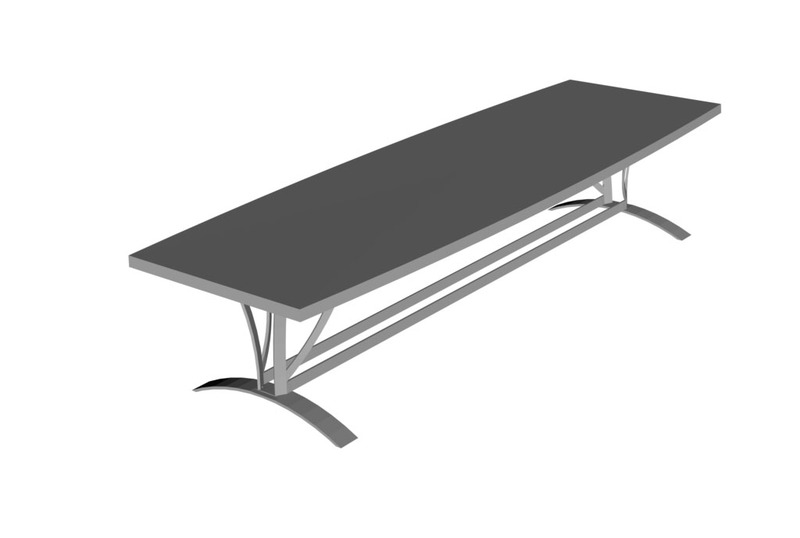 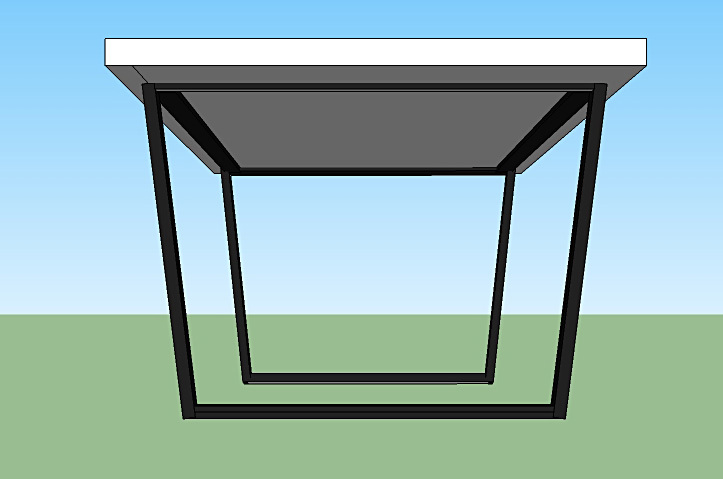 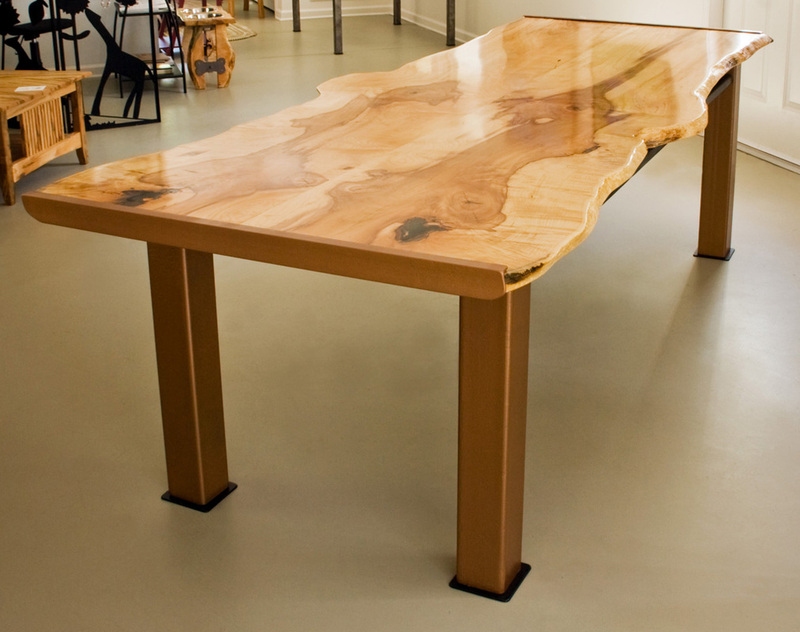 This illustration is with the trapezoidal base at a 90 Degree angle to the table top. 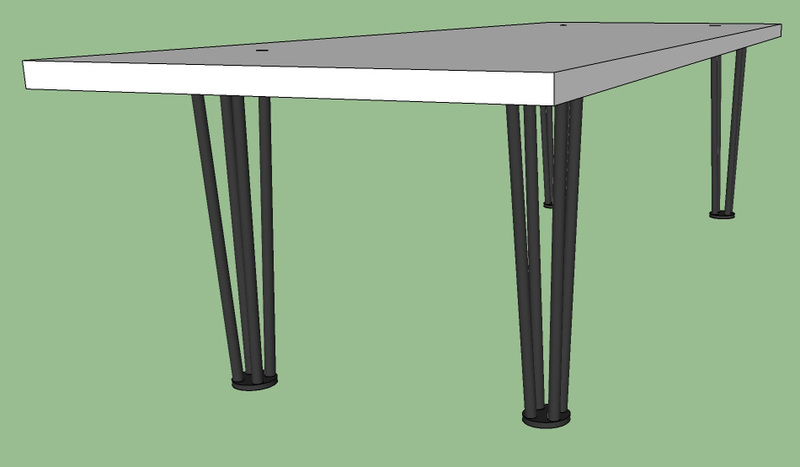 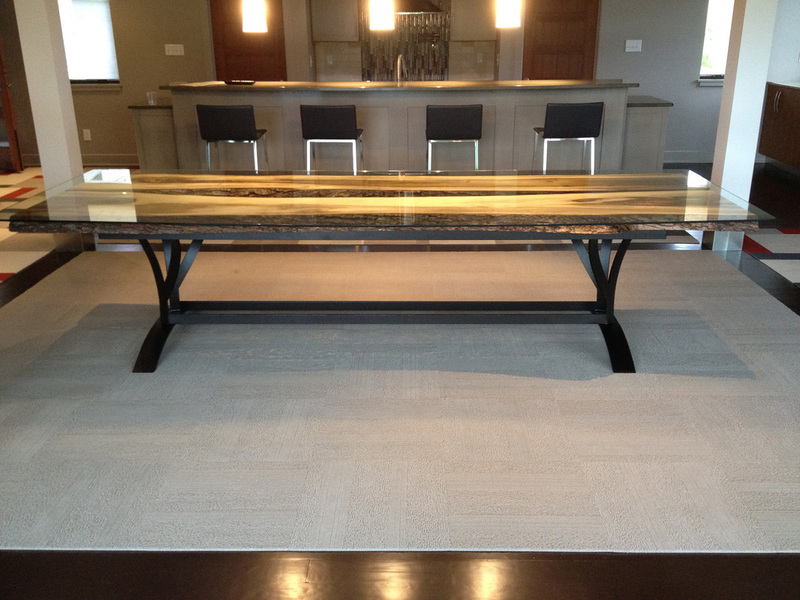 Cocktail table with a straight trapezoidal base (about 15" tall). 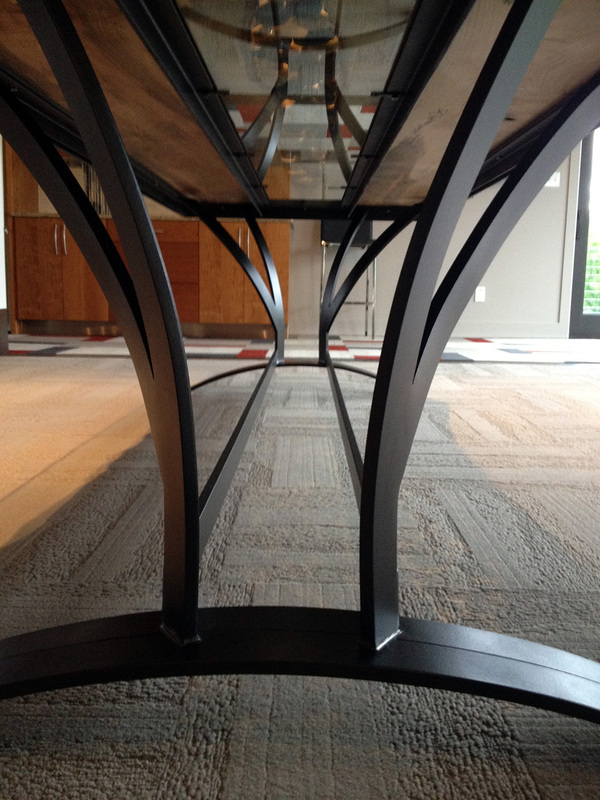 The legs are made up by four- 1/2" steel rods tapering from top to bottom. 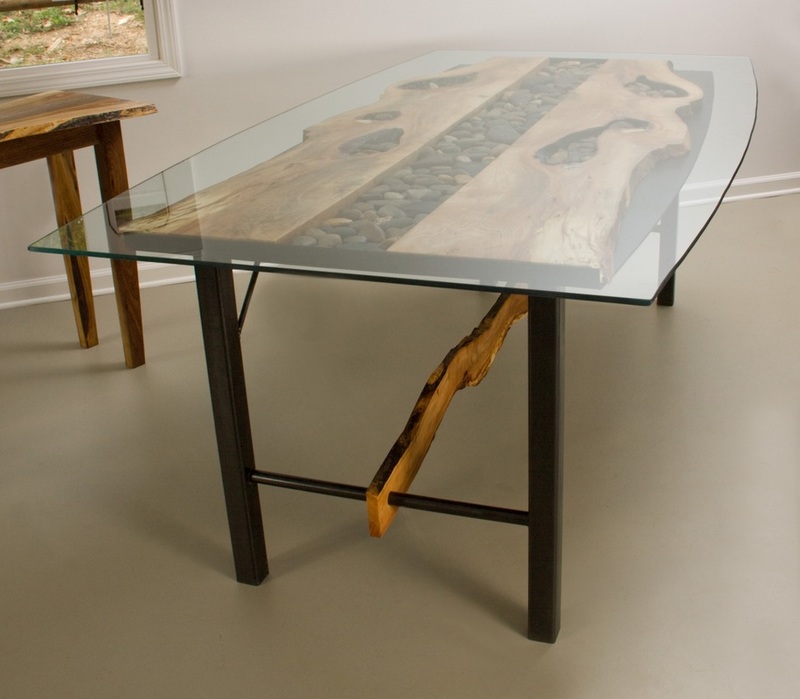 We are also able to create bases out of wood.